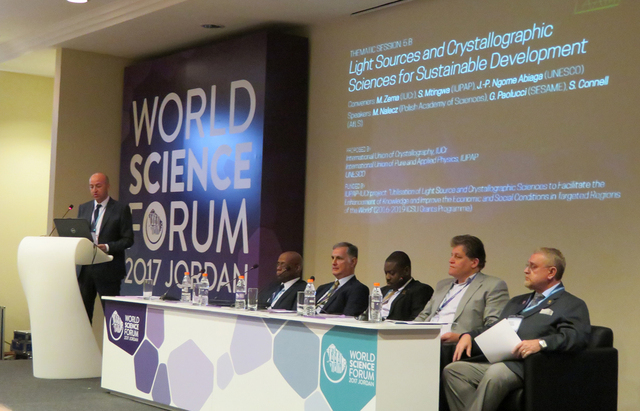 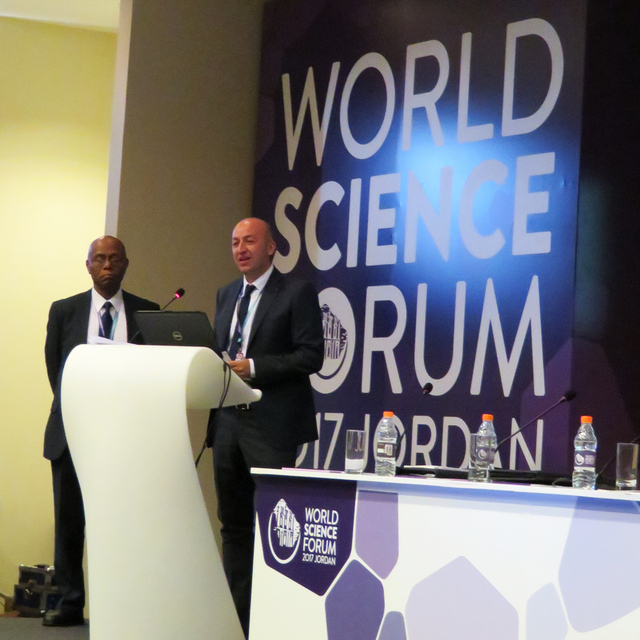 A thematic session sponsored by LAAMP and entitled "Light Sources and Crystallographic Sciences for Sustainable Development" formed part of the programme of the World Science Forum 2017. 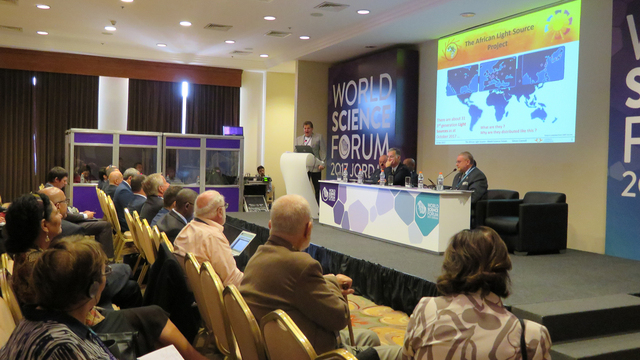 This Forum was held at the King Hussein Bin Talal Convention Centre, Dead Sea (Jordan) on 7-11 November under the theme of "Science for Peace" and the high patronage of His Majesty King Abdullah II Ibn Al Hussein of the Hashemite Kingdom of Jordan; János Áder, President of Hungary; and Irina Bokova, Director General of UNESCO. 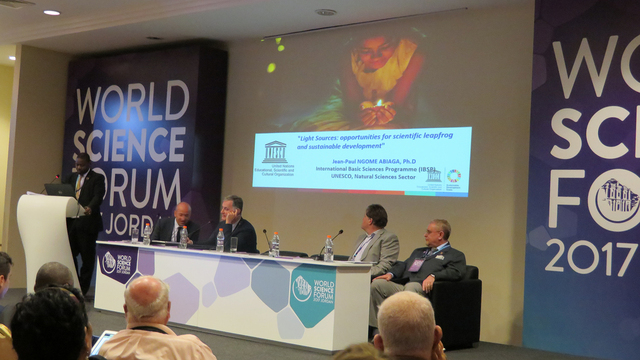 The thematic session "Light Sources and Crystallographic Sciences for Sustainable Development" was co-organized by UNESCO, IUPAP and IUCr. 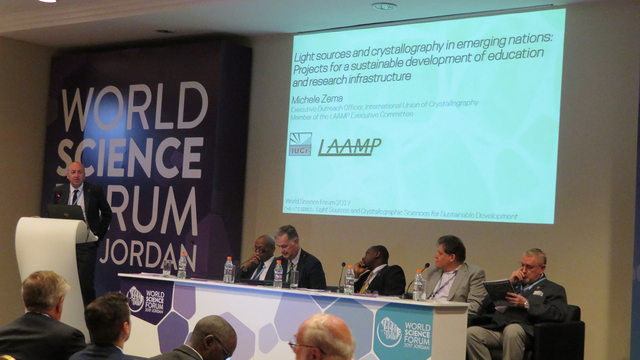 Michele Zema (IUCr) introducing the session. 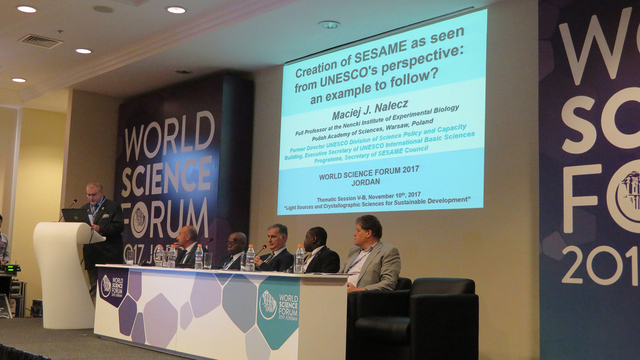 Maciej Nalecz (Polish Academy of Sciences). 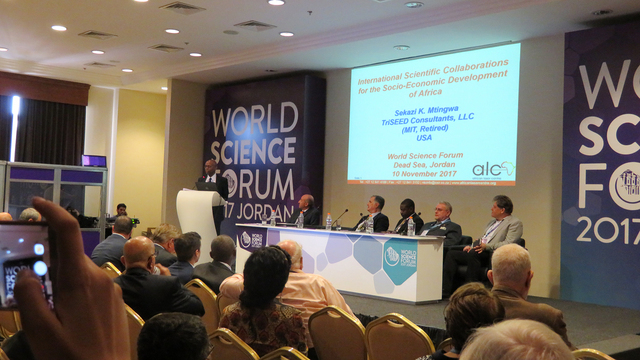 Juste Jean-Paul Ngome Abiaga (UNESCO-IBSP). 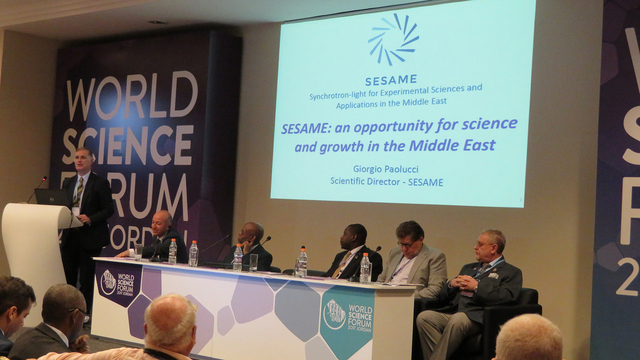 Speakers and guests. 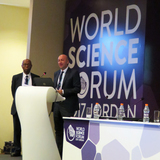 Front row (from left to right): Romain Murenzi, ?, Maciej Nalecz, Herman Winnick. 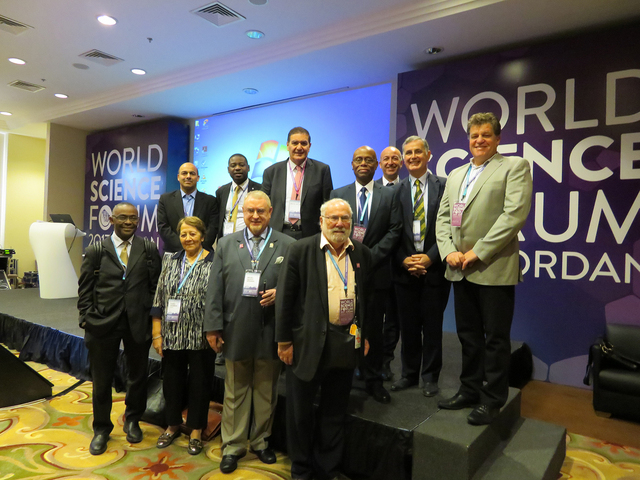 Back row: ?, Jean-Paul Ngome, Khaled Toukan, Sekazi Mtingwa, Michele Zema, Giorgio Paolucci, Simon Connell. 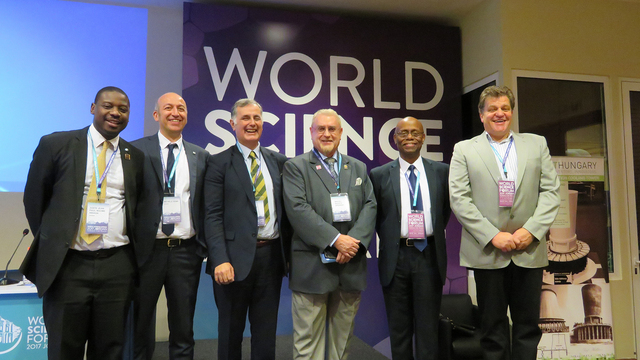 Juste Jean-Paul Ngome Abiaga, Michele Zema, Giorgio Paolucci, Maciej Nalecz, Sekazi Mtingwa, Simon Connell.